CASE Construction Equipment’s G-Series wheel loaders are suitable for a wide range of applications, many highly specialised, and the work of Casier Recycling is a good example. 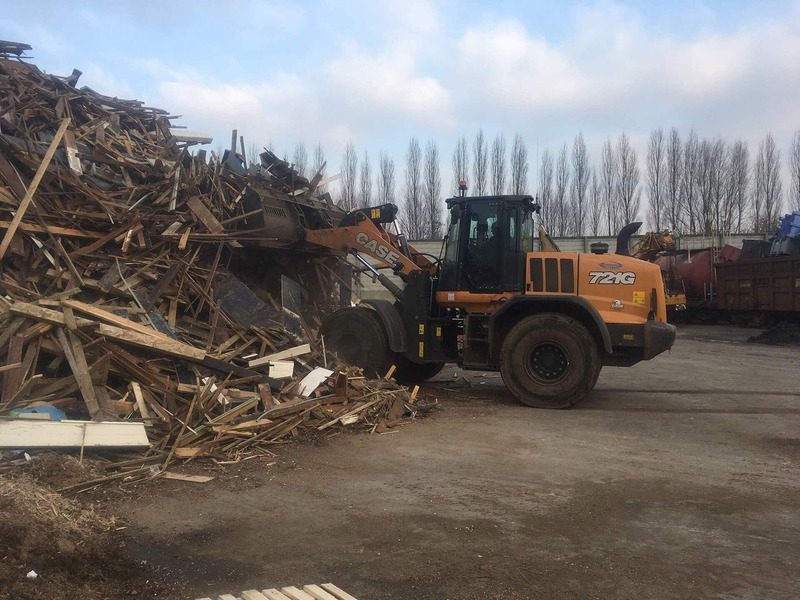 At a 90,000 square-metre facility in Deerlijk, Belgium, Casier collects, sorts and processes 12,000 tons of scrap ferrous metals, 2,500 tons of non-ferrous scrap, and 500 tons of wood residues every month. 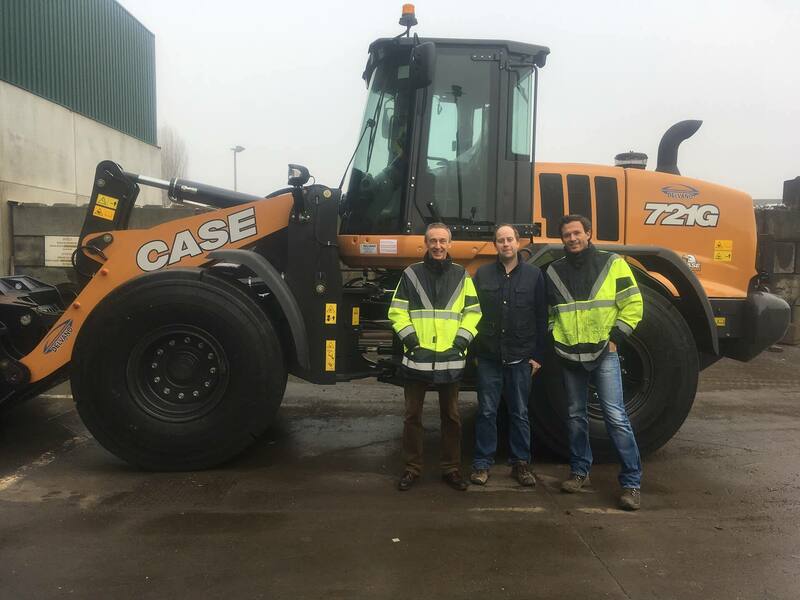 This is a big operation in which a CASE 721G wheel loader plays an essential role - and Casier is finding that the machine has useful advantages over the wheel loaders it previously bought from other manufacturers. Casier was established in 1900 by brothers Charles and Gerard Casier and today the business flourishes under the direction of the family’s fourth and fifth generations. In 1957 Casier relocated from the municipality of Zwevegem to Deerlijk, both in the Flemish province of West Flanders, to take advantage of a site with a direct railway connection. This allows a rail-locomotive, in addition to a fleet of 12 trucks, to bring materials directly to Casier’s premises. 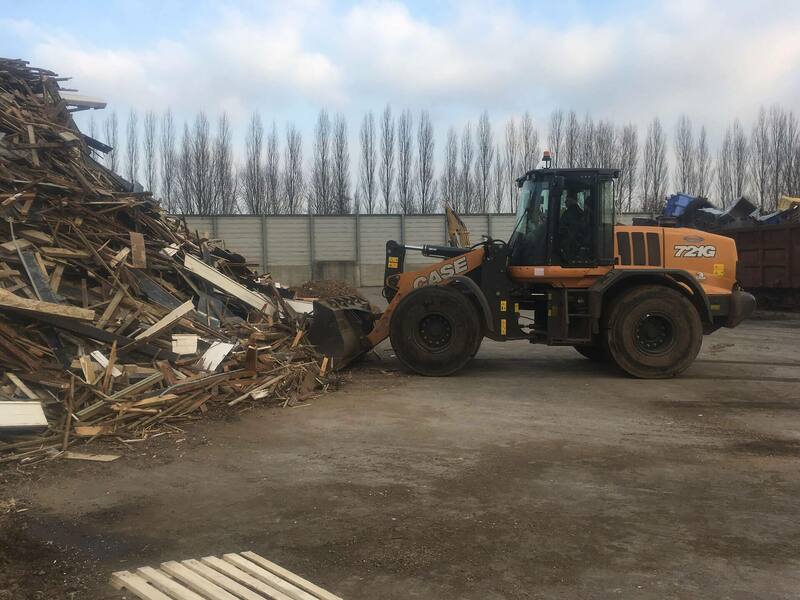 Casier uses 450 put-down containers, which are loaded by fixed and mobile cranes, and has the CASE wheel loader to move heavy scrap materials around the site. The 721G typically has to move heavy loads to a weighbridge across distances of up to 300 metres. 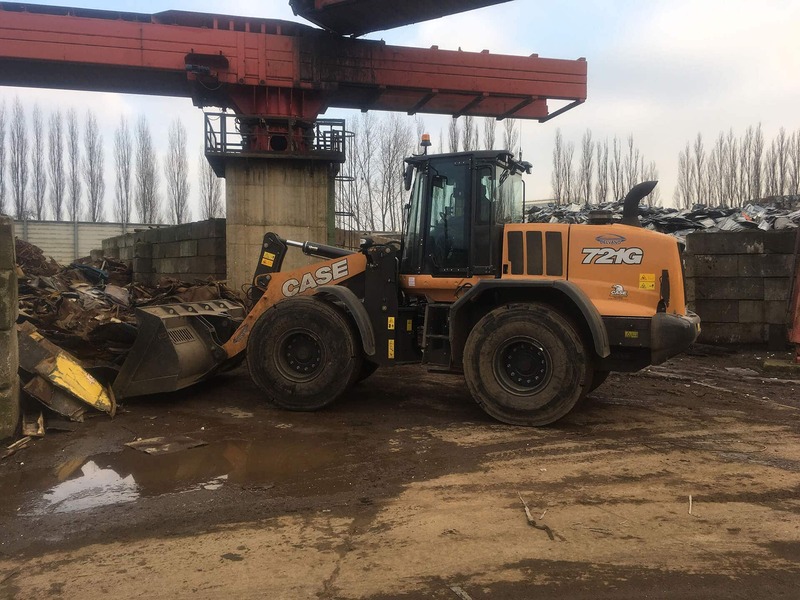 The wheel loader’s work at Casier is demanding and continuous, so the machine has to be high in reliability and low in maintenance requirements, to minimise downtime. Because of the long operating hours it is also important for the wheel loader to have a comfortable cab and easy controls, to reduce operator fatigue. And because the wheel loader moves around a site busy with other machinery and people, its cab must afford excellent outwards visibility, to minimise the risk of accidents. These were the main considerations when Casier purchased a new wheel loader in 2017, but the company also wanted its new machine to be more compact and manoeuvrable than its wheel loaders from other brands, and to consume less fuel. All seven models in the latest-generation G-Series range, launched in early 2017, deliver new levels of operator comfort to help maximise productivity. Visibility is enhanced by a full-width panoramic windscreen and a slim engine cover; ease of operation by an operator control interface with an eight-inch display which is easy to use in all external light conditions; and comfort by a fully-adjustable seat-mounted console, active suspension seat, and in-cab noise levels of just 68dB. The new G-Series is also designed to provide unprecedented levels of fuel efficiency - a fact that Casier Recycling will happily confirm, as the company’s 721G is consuming about 10 percent less diesel than its previous wheel loaders. The G-Series’s FPT Industrial diesel engines feature Selective Catalytic Reduction (SCR) engine technology which keeps exhaust temperatures lower and improves fuel efficiency, as well as eradicating the need for a diesel particulate filter (DPF) or exhaust gas recirculation (EGR). The recycling of heavy metals and wood is just one type of work in which CASE G-Series wheel loaders are exceptionally productive, safe, and affordable. The seven G-Series models - from the 521G with a 3.9t bucket payload to the 1121G with a 10.2t bucket payload - are scaled for all kinds of work. All over the world the G-Series can be found working hard for supply yards, construction sites, agricultural businesses, waste and scrap movers and recyclers, snow removal teams, mass excavation sites, and quarries. It is this robust versatility which explains the G-Series’ popularity.